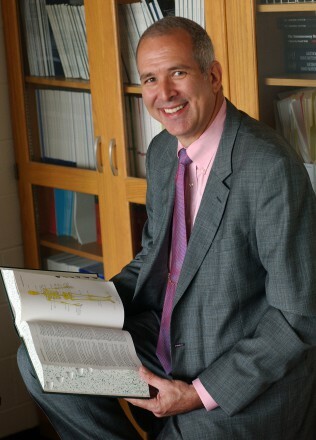 Jim Hutchins is a neuroscientist. He received his BA from the University of Colorado in 1980, majoring in molecular, cell and developmental biology. He then worked with Frank Werblin on the neurochemistry of the salamander retina, receiving his MA (Neurobiology) from the University of California, Berkeley, in 1982. His dissertation, Evidence for Acetylcholine as a Neurotransmitter in the Human Retina, was completed in 1985 under the supervision of Joe Hollyfield at Baylor College of Medicine in Houston, Texas. He moved to the next stop in the visual pathway, the lateral geniculate nucleus, and worked with Vivien Casagrande at Vanderbilt University School of Medicine in Nashville from 1985 to 1989. He then took a position as Assistant Professor of Anatomy at the University of Mississippi Medical Center in Jackson. After 16 years, he had become Professor of Anatomy and Assistant Vice Chancellor for Faculty Development. Finding his way back west, he joined the faculty of Weber State University in Ogden, Utah in 2005. He is currently Professor of Health Sciences at Weber State, with responsibility for teaching medical terminology, anatomy and physiology, and pathophysiology to pre-nursing, pre-radiation technology, pre-respiratory therapy, pre-dental hygeine, and other prospective Health Professionals.